Topographic Surveys consists of a series of tasks carried out with the aim of determining the composition of those parts of the earth’s surface which emerge from the water. It includes the coastal relief and the location of permanent natural or artificial objects and features. ground control points in order to adjust the information to the reference frame in use. Topographic map is a type of map characterized by large-scale detail and quantitative representation of relief, usually using contour lines, but historically using a variety of methods. 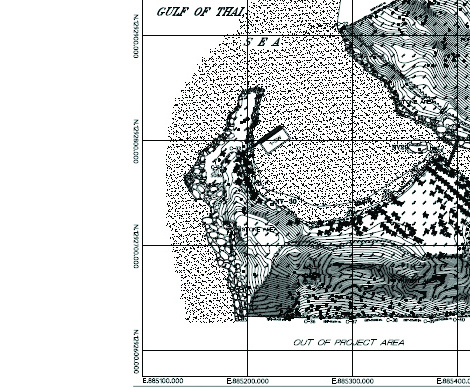 Traditional definitions require a topographic map to show both natural and man-made features. A topographic map is typically published as a map series, made up of two or more map sheets that combine to form the whole map. A contour line is a line connecting places of equal elevation.